Global energy demand for heat alone represents almost half of the world’s final energy use. This is, according to the International Energy Agency (IEA), more than the combined global demand for energy to provide electricity and transport. 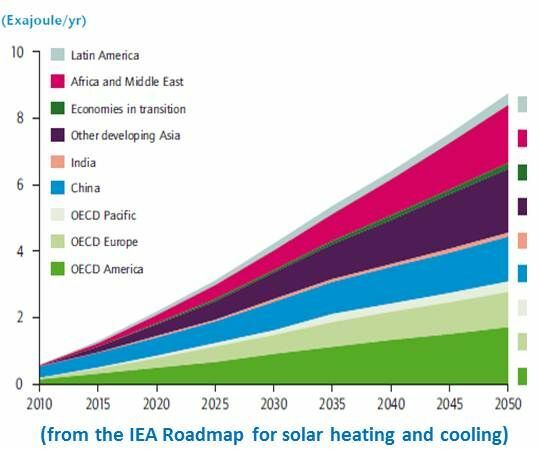 Solar’s enormous untapped potential to meet this demand is enumerated in the IEA's Roadmap to 2050. Globally, the potential exists to obtain eighteen exajoules (EJs), the equivalent of five billion megawatt-hours, from solar thermal applications by mid-century. 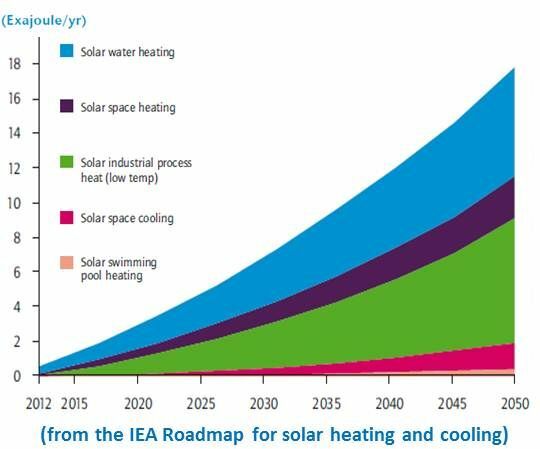 Solar could provide more than 16 percent of the total final energy use for low-temperature (up to 100°C) heating, 14 percent of total energy use for space and water heating and nearly 17 percent for cooling by 2050. Solar energy, IEA researchers found, could provide 8.9 EJ, almost 2.5 billion megawatt-hours, for hot water and space heating. It could also provide 7.2 EJs (2 billion megawatt-hours) for industrial processes, as well as 1.9 EJs (over 528 million megawatt-hours) for swimming pool heating and space cooling. Based on this report, the growth potential for solar thermal is huge. 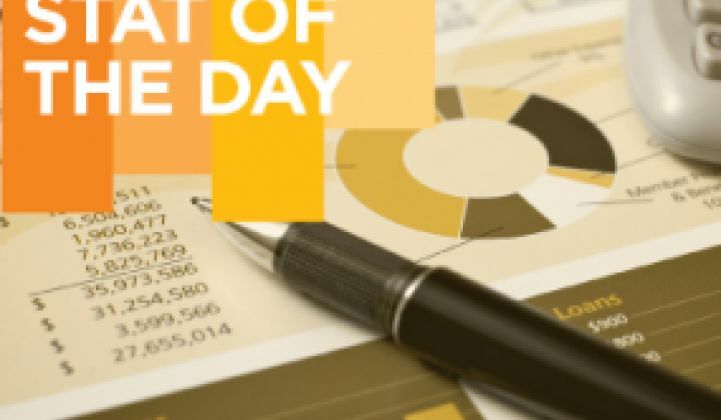 Achieving those levels of heating and cooling technology deployments would mean a 25-fold increase in capacity. But the undertaking would also reduce the world’s carbon emissions by 800 megatons (which is equivalent to all of Germany’s 2009 emissions). 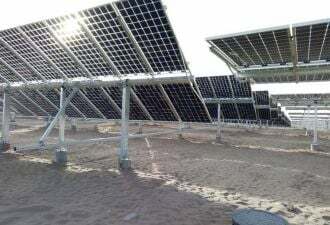 Beyond the numbers alone, solar thermal technologies, especially solar cooling, offer the capability of relieving stress on the transmission system by reducing peak period demand. The IEA’s interim goal is to meet 50 percent of the world’s low-temperature heat demand with solar energy by 2030. 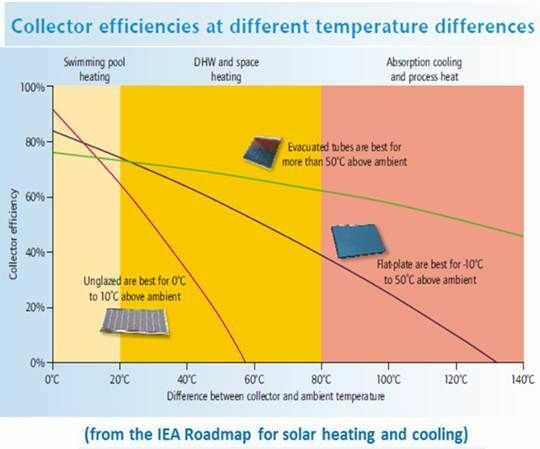 To achieve such ambitions, the IEA Roadmap argues, governments will have to create stable, long-term policy frameworks for solar thermal that include economic incentives and remove barriers. They will also need to set quality-control standards and fund and support research, development and demonstration (RD&D) efforts (especially in the area of small scale heat storage) that will bring commercial production to much higher levels within a decade. The Roadmap also recommended that NGOs in developing countries support the accelerated deployment of solar thermal technologies.